Let it All Out with Bouncy Boxing! 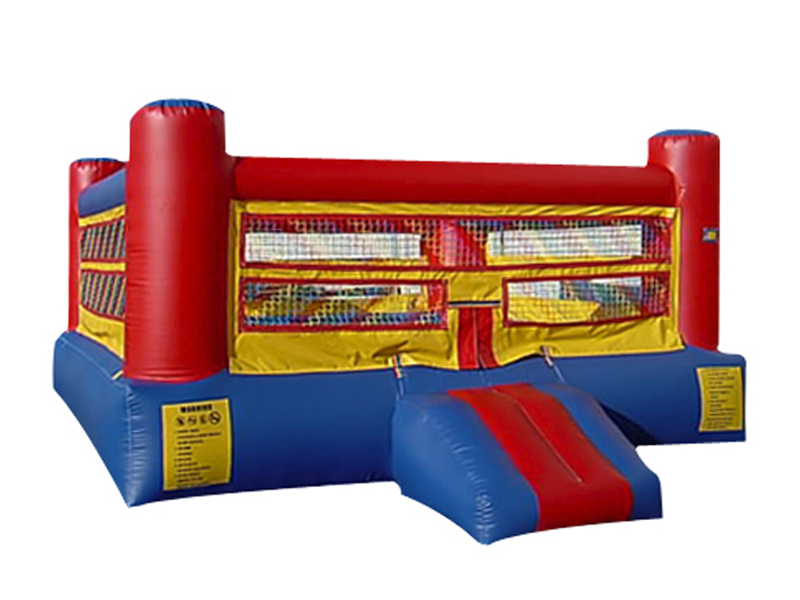 Our Bouncy Boxing inflatable is a great way to let it all out! Who hasn’t wanted to go a few rounds with a sibling?! This is the perfect time! No lasting damage, except maybe the losers ego! Let ‘em have it! Swing low, duck and jab! Go whole hog just for today! This inflatable is sure to bring the fun for theboxers and especially the viewers! You may also enjoy our PEDESTAL JOUST or the MELTDOWN. After going a few rounds guests would love to cool off with a SNOW CONE and COTTON CANDY. At Fun Services we know our fun, but we take safety seriously. Fun Services staff is insured and licensed. So, you can expect to receive professional, quality service with every rental from Fun Services of Nebraska and Iowa.